<< Back Pod. BOSTON. TAN BROWN. Sizes: 13. 14. 15..
Pod. BOSTON. TAN BROWN. Sizes: 13. 14. 15..
BOSTON Gibson style shoe, the fine leather uppers contrast with the embossed detailing on the sides adds interest to these stylish shoes. This design comes with 2 sets of laces to complement each shoe. 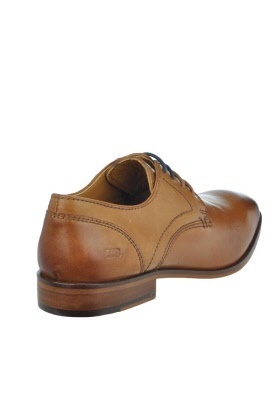 Premium leather uppers, with burnished look. Full leather linings & insock. Tunit soles with beige stitching. Almond shapes toe. Contrasting laces. Paul O'Donnell. Quality you can trust. 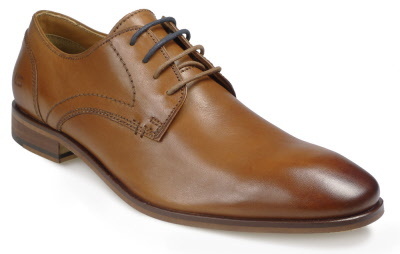 This is a great shoe for formal occasions, not really deigned for everyday use.